She is also passionate traveller, and has explored parts of the world from the Middle East, to South East Asia, from Central America to North Africa, from the Caucusus to the Himalayas. Her main interest is always the people and their cultures - their family life, where they live, their religions, festivals and arts. So it is not surprising that she finds the Glastonbury Festival so fascinating. and photographs it in exactly the same way as she would a festival in Ethiopia or Bhutan. An anthropological experience, an extreme example of human behaviour, where anything can and does happen! 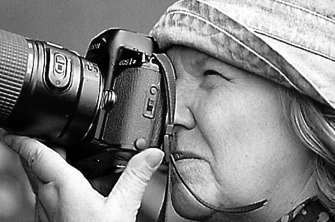 Her Festival photographs have been published by the BBC, The Times Saturday Magazine, The New Statesman, Record Collector, and in brochures, programmes, environmental magazines, in advertising, and are suitable for Tourist Information. Travel photographs have been published by The National Geographic Adventure Magazine, Geographical Magazine, Travel Guides, and in educational books. 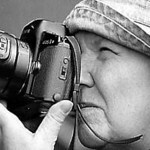 All Glastonbury Festival images, and travel photographs, are available from her own collection.